Emmanuel Mutai leads an elite men’s field for the Haspa Marathon Hamburg on April 29 which bristles with talent. The Kenyan is the fastest in the field with his best of 2:03:13, making him the fourth fastest marathon runner of all time. He is one of five men who have broken 2:06 in their careers while the fastest woman is Sweden’s Isabellah Andersson who has a personal best of 2:23:41. 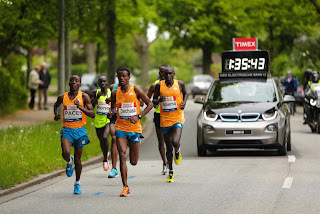 They further strengthen the elite fields which already included Kenya’s Sammy Kitwara, whose best is 2:04:28 and the 2012 Olympic Marathon champion Stephen Kiprotich of Uganda. Add the talents of the Ethiopians Ayele Abshero (2:04:23) and Solomon Deksisa (2:06:22), Bahrain’s Shumi Dechasa (2:06:43) as well as the Kenyan pair of Vincent Kipruto (2:05:13) and Stephen Chebogut (2:05:52) and a potent blend of talent will be on the start line. 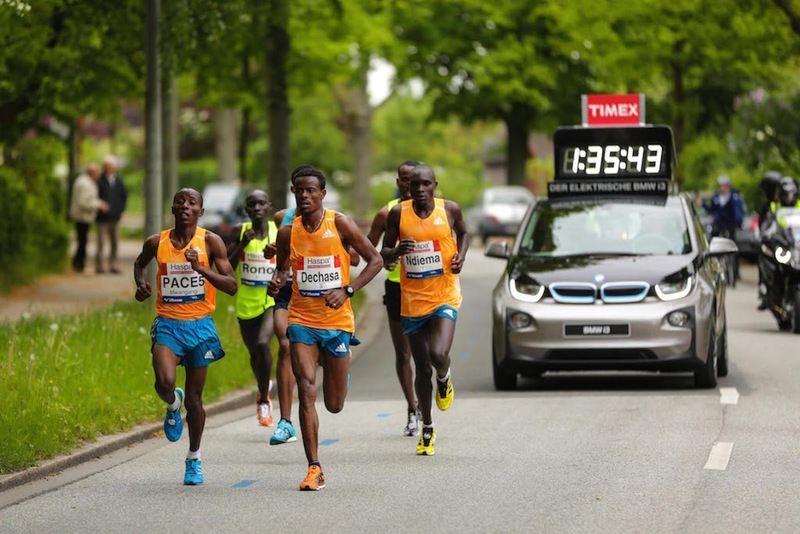 Shumi Dechasa has already tasted victory in Hamburg, having won the Haspa Marathon title in 2014. Also bringing his experience of finishing third in 2015 will be Stephen Chebogut who won Eindhoven in his personal best the same year. Emmanuel Mutai carries a weight of expectation as the fourth fastest marathoner of all time. His 2:03:13 came in pursuit of fellow Kenyan Dennis Kimetto when the latter broke the world record in Berlin in 2014 with 2:02:57. Mutai as runner-up also finished inside the former world record and his career is distinguished by consistent, high quality performances. The 33-year-old will be the fastest man ever to start in Haspa Marathon Hamburg. After disappointments in recent years, by his high standards, the race in Hamburg gives Mutai the ideal scenario to produce his best once more. The fastest of the six women who have run under 2:30 is the Swedish record holder Isabellah Andersson. The Kenyan-born athlete, whose initial interest was orienteering, has a best of 2:23:41 from third place in Dubai in 2011. Her focus will be on achieving a qualifying time for the European Championships in Berlin in August. Shitaye Eshete is another of the women’s elite to watch. The former Ethiopian is married to Shumi Dechasa and will also run for Bahrain in Hamburg. She set her best of 2:25:36 with sixth place in the 2016 Dubai Marathon. Other contenders should be Sylvia Kibet of Kenya (2:26:16) and Namibia’s former nation record holder Beata Naigambo (2:26:57). Both ran Hamburg in 2015: Kibet finished second in 2:26:16 and Naigambo one place behind with 2:27:28. Portugal’s Filomena Costa could also come into contention with her best of 2:28:00 in winning Seville in 2015.